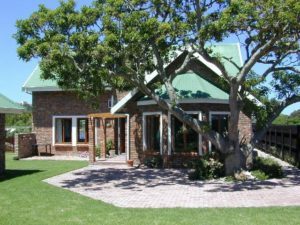 Country home with artistic decor set on a smallholding with 180 degree views and security. 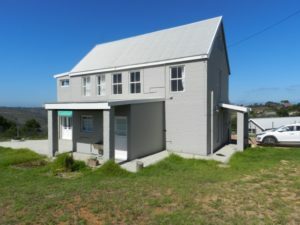 Three bedrooms, main bedroom has a walk in dressing room and leads onto an enclosed stoep/sunroom. A mezzanine study overlooks Botlierskop game reserve where you can occasionally spot their elephants and other game passing by. An ideal retreat for the nature lover. 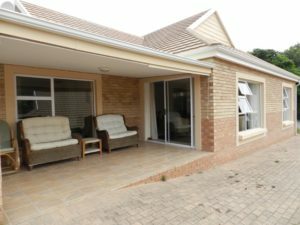 Two bathrooms, open plan lounge leading onto enclosed stoep/breakfast room. Kitchen with built in De Longhi gas stove and space for washing machine or dishwasher. Pantry. Triple garage with auto door. Alarm system. Prepaid meter. Municipal water. Septic tank with French drain. Cute Wendy house. Satellite dish. The entire property measures 1,5 hectares of a fenced mixture of grassland and bush. 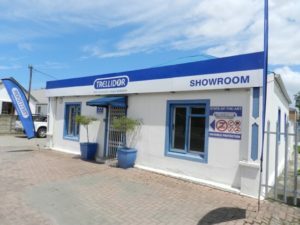 Year lease available.